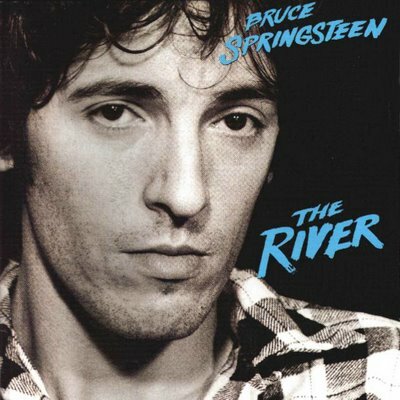 The exploration of Bruce Springsteen’s alternate career continues with a revisionist take on his 1980 epic The River. What’s been most surprising about working on Spare Parts has been the way our alternate-universe Bruce Springsteen records fit into the gaps left open in the Boss’ regular-universe career. It’s not just that the guy has reams of outtakes that didn’t make the cut for his albums; there are threads to be found in those songs, and tugging on those threads creates additional chapters in the story Springsteen has told over the course of his career. Dave Lifton and I made the choice to disassemble The River in favor of more frequent, focused releases, one a year, from 1979 to 1981. Still, we have an album titled The River for 1980, and having explored the dark side of the American dream on Darkness on the Edge of Town and the complexities of romantic love on Be True, The River is where those two threads weave together. How are human relationships impacted by that darkness? What happens when love is not enough to redeem the loneliness brought about by the death of dreams? Powerful questions with difficult answers, explored through tremendous songwriting. In the wake of Springsteen’s September 1979 appearance at the No Nukes concert in New York, both the E Street Band and his team at CBS expected an imminent tour announcement, perhaps for after the new year. Springsteen continued working in the studio right up to the holidays, but the early part of 1980 came and went with no word. It was left to Jon Landau to break the unprecedented news to the Springsteen camp: No tour behind Be True. Instead, Springsteen continued recording, scraping away at the record that would become The River. Much like the Be True sessions, the River sessions coalesced around clear themes, with a handful of songs that were brilliant pop anomalies. Nearly half of the songs that ended up on the album had first emerged during the 1979 sessions that resulted in Be True, and though there were two albums released out of two years’ worth of work, the lack of a tour or significant breaks created the impression of one long recording session stretching from the spring of 1979 to the late summer of 1980. As if this weren’t enough work for Springsteen and crew, he also agreed to produce an album for Gary U.S. Bonds which occupied much of the summer of 1980. A driving rocker to open a dark, somber record. The E Street sound is distilled to its raw essentials for a portrait of two desperate lovers out on the streets with a switchblade and her daddy’s gun in the trunk. Rescued from the dustbin of Springsteen’s studio history, this outtake from the River sessions is believed to have stemmed from the 1979 Telegraph Hill rehearsals. Another angry, electric rock song. A neo-noir distilled into six smoky minutes, complete with femme fatale framed in a dark doorway in the rain. There is no simple relationship on The River; every human connection is complicated by the loss of hope. Much art has been made about a young man trapped between his love for his father and his need to escape his upbringing, but rarely as beautifully as here. It’s strange how “Adam Raised A Cain” is an angry song that honors a father’s daily struggle against external forces, but this is a sad and plaintive song that openly rebels against it. One of the best ensemble performances the E Street Band ever recorded, with killer solos from Danny Federici and Springsteen, this Tracks gem shows what an embarrassment of riches those sessions had. A classic example of addition by subtraction, Bruce strips a song recorded during the Be True sessions to its most essential musical and lyrical details and comes up with something far more powerful. He could never have pulled off the stark bleakness of Nebraska without this. It’s a mystery as to why this song hasn’t remained a core staple of Springsteen’s live sets, since it seems to perfectly encapsulate so many of Bruce’s thematic conceits. Instead, it’s only appeared live a handful of times. The fundamental pathos of men who “built the roads they’d ride to their deaths” sits at the heart of The River, and of so much of Springsteen’s music. The closest thing to pure, clean love to be found on The River also comes at a price–driving all night. Nothing comes easy for these characters, and what little relief they find in one another requires paying a cost. We close our The River with the same three songs with which Bruce chose to end his. It wasn’t that we lacked imagination, but rather that anything else is implausible. “Chevrolet Deluxe”: Yet another Telegraph Hill rehearsal cut, this six-minute-plus rock tune got crowded out by the several other six-minute-plus rock tunes available. Let us yet again raise our prayers to the Gods of Jersey that this and many other River-era bootleg tracks exist in pristine studio format for a future box set. “Jackson Cage”: Though it’s lyrically bleak, the music felt far too up-tempo for inclusion on The River. Instead it will re-emerge when the 1981 release is put together. Read more from David Lifton at Wings For Wheels and more from Matt Springer at Pop Geek.